<iframe width«520» height«315» src"//www.youtube.com/embed/fnutyHONWM" frameborder«0» allowfullscreen> NHD15 Built on the basis of the legendary NHD14 ja carrying on its quest for ultimate quiet cooling performance Noctuas flagship model NHD15 is an eliteclass dual tower cooler for the highest demands. 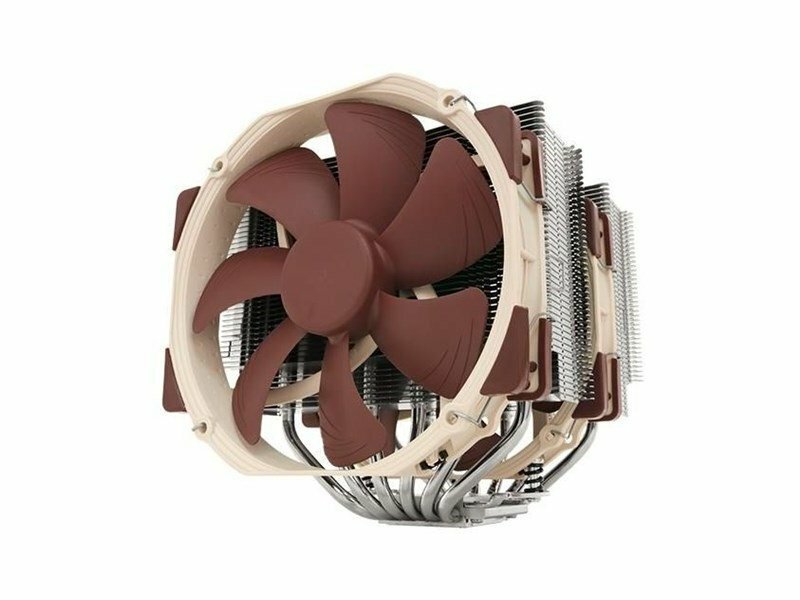 Its expanded heatpipe layout ja two premium grade NFA15 140mm fans with PWM support for automatic speed control allow it to further improve the NHD14s awardwinning efficiency. Topped off with the trusted prograde SecuFirm2 multisocket mounting system Noctuas proven NTH1 thermal compound ja full 6 years manufacturers warranty the NHD15 forms a complete premium quality solution that represents a deluxe choice for overclockers ja silententhusiasts alike. Based on the awardwinning NHD14 Noctuas NHD14 has received more than 350 awards ja recommendations from leading international hardware websites ja magazines making it one of the most successful premium heatsinks ever built. With its expanded layout ja dual NFA15 fans the NHD15 further improves the D14s much acclaimed quiet cooling performance. 6 heatpipe dual tower design As compared to conventional single tower heatinks the NHD15s finetuned six heatpipe dual tower design provides more surface area better heatdistribution ja superior airflow efficiency in dual fan mode. Widened fin stack ja expanded heatpipe layout Compared to the NHD14 the NHD15s finstack has been widened from 140 to 150mm ja its heatpipes are now spaced further apart which allows for a more uniform heat distribution over a larger surface area ja thus contributes to the NHD15s superior efficiency. High RAM compatibility in single fan mode Thanks to its recessed lower fins the NHD15 provides 64mm clearance for tall memory heatsinks in single fan mode making it compatible with most high end RAM modules on the market. In dual fan mode the NHD15 should be used with standard height RAM up to 32mm. * Dual NFA15 140mm fans The NHD15 features two of Noctuas premium class NFA15 140mm fans. Complying with Noctuas AAO standard ja featuring sophisticated aerodynamic design measures such as Flow Acceleration Channels the NFA15 has quickly built up a reputation as one of the best 140mm fans on the market. PWM support ja LowNoise Adaptor The NFA15 premium fans supplied with the NHD15 support PWM for convenient automatic speed control through the mainboard. In addition the maximum fan speed can be reduced from 1500 to 1200rpm using the supplied LowNoise Adaptor for even quieter operation. 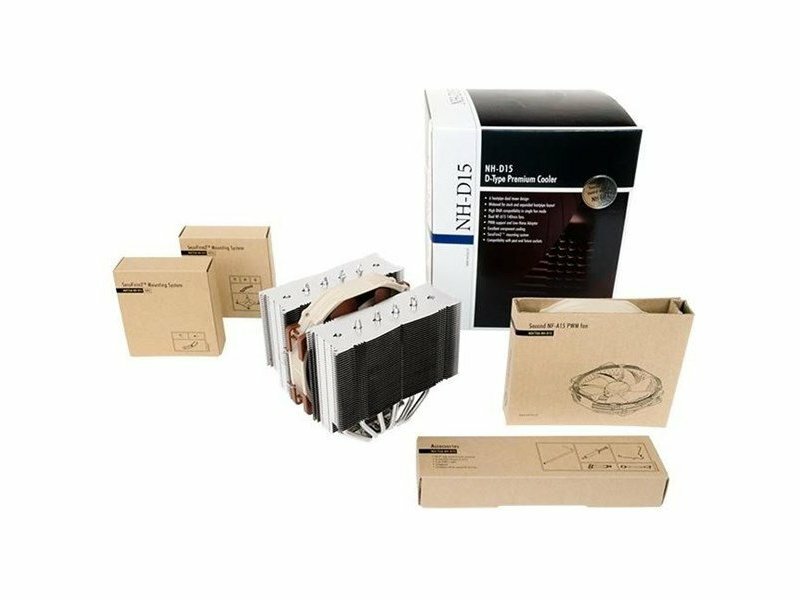 Excellent component cooling Extending below the finstacks the large NFA15 fans not only contribute to the NHD15s superb CPU cooling capabilities but also provide massive airflow over surrounding motherboard components ja heatsinks thus ensuring excellent component cooling performance. SecuFirm2 mounting system Noctuas SecuFirm2 mounting systems have become synonymous with quality safety ja ease of use. Supporting Intel LGA115x LGA1150 LGA1155 LGA1156 LGA2011 ja AMD AM3+ AM2+ FM1 FM2+ the SecuFirm2 mounting included with the NHD15 guarantees perfect contact pressure ja maximum convenience on all current sockets. 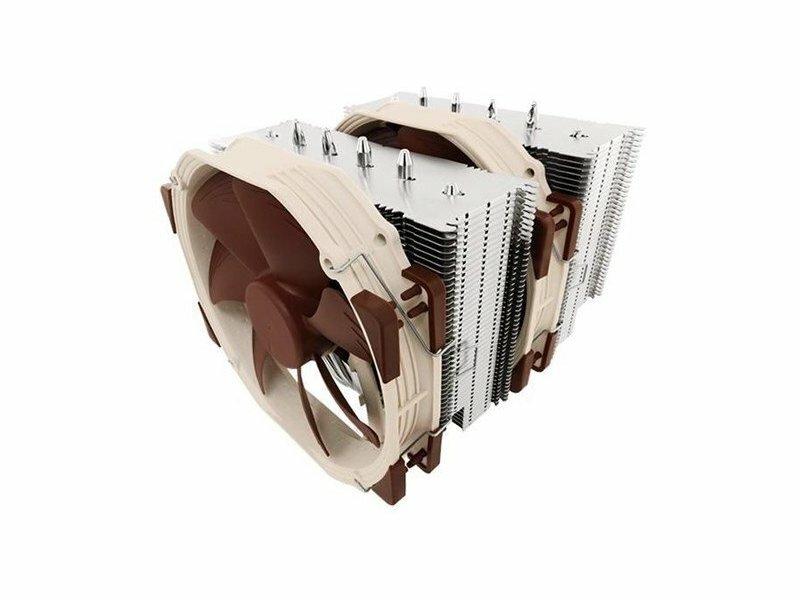 Compatibility with past ja future sockets Complying with the open SecuFirm standard the NHD15 can be made compatible with the older LGA1366 ja LGA775 sockets using the optional NMI3 mounting kit which is provided by Noctua free of charge. 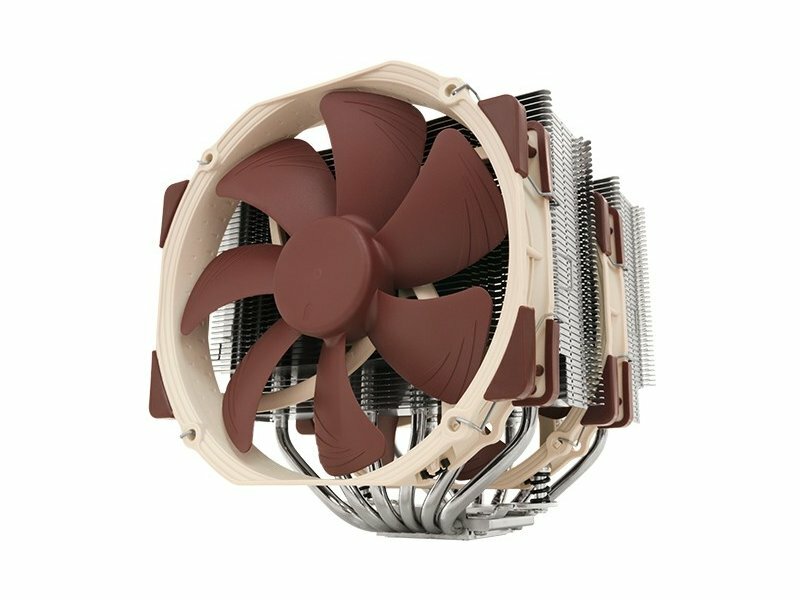 If technically possible Noctua will also provide upgrade kits for future sockets. NTH1 thermal compound Having received more than 100 awards ja recommendations from hardware journalists around the world Noctuas NTH1 is a proven professional grade TIM solution that provides minimum thermal resistance excellent ease of use ja outstanding reliability. 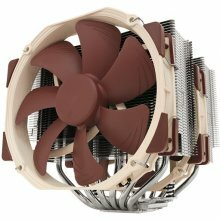 6 years warranty Noctua products are renowned for their impeccable quality ja outstanding longevity. 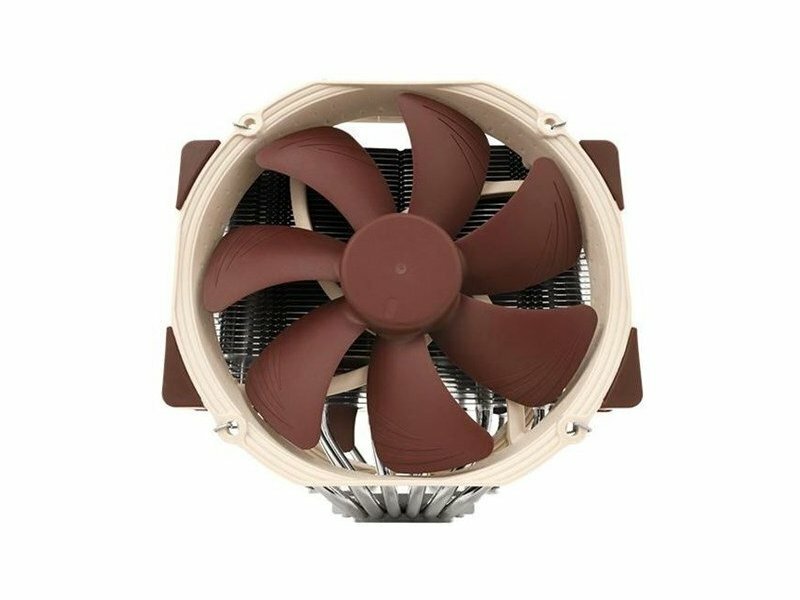 Like all Noctua fans the supplied NFA15s feature an MTBF rating of more than 150.000 hours ja the entire NHD15 package comes with a full 6 years manufacturers warranty.